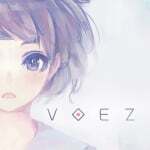 Last week we wrote about the Switch port of VOEZ, a music title which has already found success on iOS and Android smartphones. More details regarding the port are now appearing, with publisher Flyhigh Works pointing out that the title can only be played in portable mode - giving it the distinction of being the first Switch game which cannot be played on the TV. This is because the game uses the touchscreen for control, something which isn't possible when the console is docked and connected to the television. While this might seem like an awkward limitation, touchscreen-only games on the Switch could be quite interesting - especially if some of the giants of the smart device gaming market begin to sit up and take notice. Let us know what smartphone and tablet games you'd like to see on the Switch eShop in the near future by posting a comment below. I have a feeling Pokemon will do this. Well, for those of us that thought Nintendo would get around this issue with the motion controls... guess we're smarter than the Big N.
Such wasted potential, it may as well be a Game.com game then. @booker_steve Pokémon worked long before touchscreens were a thing, it'll work again. I'm ok with this, but if games start requiring docking only that will defeat the purpose of the system for me. I can't wait for the first game you can only play using that very top part of the Switch screen that peeks out of the dock. @booker_steve And why would Pokémon do this? There's nothing about Pokémon that demands a touchscreen constantly. Of course it worked without a touchscreen, I just have a feeling Nintendo will keep mainstream Pokemon off the tv. Switch being docked = touchscreen disabled. There is no way to play touchscreen game while being docked. Even my fingers can't touch the screen. @DanteSolablood It's nice to have options but to tell you the truth I never use the touchscreen when playing Pokémon. How else would I hear all of the sound effects when messing with the menus =P? I can see a Hearthstone port, if it happens, doing this though. @booker_steve It's GameFreak that prefers to have Pokémon on portables. Most of the console games were actually made by Nintendo 1st party studios. Love that they aren't dictating both modes. Opens up a lot more opportunity. @DanteSolablood Try playing a rhythm game like this with motion/pointer controls. I dare you. Completely expected this. If you've ever played any game from this developer (or similar titles like Theatrhythm, Osa Tatakae Ouendan, et cetera), you'd know a touch screen is a must. Personally, I'm glad that Nintendo isn't forcing developers to use both modes of the Switch. I can do without awkward, tacked-on controls in docked mode. I think Nintendo should allow this, but only for games where it physically is not possible to play docked; like the need to use a touchscreen. Just to stop developers from being lazy and support the fact that the Switch is all about choice and the many ways to play. I thought the possibility of being able to use the Switch without the Joycons basically as a tablet; but quickly realised that in such cases people would just use a regular; more powerful and versatile tablet. @FX102A Regular tablets might have better screens, but there's not a lot of tablets in this price class that are this optimized for gaming and come with 4GB of RAM. I think the Switch is a pretty impressive substitute for gaming on an Android tablet. Too much movie instead gameplay....................................FLAT! Not a surprise. I knew it the first time I heard this game was coming for the Switch. The gameplay is focused around the touch screen and it wouldn't be the same game if button controls were added. It wouldn't work that way. I'm actually happy that there are games that use solely the touch screen. There would be no hope for a new Osu/EBA game otherwise. This is a bad idea, and a bad path. Are we sure there is no way to connect a switch to a TV without the dock... By holding it? A Switch is not an tablet, as it has no support for 3G/4G. If this game requires any internet support, it needs to be played at home only. But not on the TV. As a one off, fine... but I really hope this doesn't become a trend. An example of a dev using the system where their game works the best... interesting. Well, I felt the Switch was more 3-fold rather than a 2-fold-- home console, portable, and mobile device. So this news convinces me that we definitely will be getting mobile only versions of some games without button input. I look forward to seeing where this goes. @Cathousemaster Wouldn't you think that the developer was rebuilding it so that internet was not necessary? @BrizzoUK this is a very good point. The fact that developers are not being forced to make games work for both modes is going to be very attractive to them, and hopefully atttact more third party support. There are going to be certain games that won't work in docked mode, even with motion-pointy controls, and even if such controls could be made to work, they're often not going to work for actual players all that well (remember all the "TOO MUCH WAGGLE!!!" Complaints with Wii games?) making them a waste of time for developers to work on. If they allow dock only games also, that would give developers that are having trouble to get their game to work in portable mode some breathing space, at least until they can patch it to work in both modes. If developers don't feel forced to do something that is unnecessary, then in the end it benefits both developers and gamers. Don't worry about choice, there'll still be plenty of games that'll work in both modes for you to "Switch" over to. @Fandabidozi Oh, don't you tease me with such fantasies! @daveh30 I think it will, but mostly in Japan where no doubt the switch is being touted as a portable that can hook up to a tv vs in the west where it's a home console that can be taken anywhere. I see nothing wrong with this approach either, because it opens the console to a whole lot more dev's that might not bother. @Fandabidozi That would be awesome, though the original Ouendan and Ouendan 2 are already region-free, being DS games. I still play them on my (US) 3DS occasionally. @ChessboardMan I would say that Nintendo probably requires games work in portable mode, meaning that the game cannot just work in dock mode, and this is probably the only requirement. I can see some developers wanting to create docked only games to take advantage of the extra HP, but this will probably never happen. I can see lots of lazy mobile ports coming to Switch, if this becomes a trend. @booker_steve I don't know why you're assuming that they'll put a 'mainstream' Pokemon game on the Switch... while they have said that there will be a Pokemon game coming to the Switch, they have also said that they want to keep the main series on the handheld consoles... implying that it will be a spin-off or side game coming to the Switch instead. I'm getting this. Saw one video and was sold. The Wii U does what Switch can not. I love this and I want to get this game! Come on Nintendo! Man up and proudly call the switch a portable system! I think it will drive up sales--not hurt it. How about MaiMai from SEGA ? The newest MaiMai so far is MaiMai Murasaki. Songs with level 12+ on Master difficulty are very temptating to play. Ah.... Glorious Crown, 7th Sense, Citrus Monster, Garakuta Doll Play, etc. Can't wait to see them on Switch. I think it's a fairly obvious assumption. They are clearly putting all of their console and handheld eggs in one basket so their biggest handheld franchise is bound to appear. Hearthstone would be nice too...maybe some Starcraft. Who knows...I think that switch should have an App Store similar to iPhone. Tons of games of all varieties. Add in 1st class Nintendo and indies and occasional AAA games and switch could be the best console ever. I'm looking forward to a switch2.0 in a couple years, my n3dsxl is great and I loved my 3dsxl before. I have a feeling I will have a few switch consoles in my house in a couple years. One for me and each of my 3 boys. @manu0 No, display on 2 screens simultaneously. 733 games says you're wrong. Awkward is right. Interesting variety nontheless. Unappealing to me personally. I wonder if we'll see Docked only games as well then, since portable only isn't off limits either. @SLIGEACH_EIRE that concept failed and it failed hard lmao. did it have some advantages? yes. did devs REALLY know what to do with it aside from displaying a map? almost never. @RoomB31 Why not? When portable only is a thing, docked only is fair at least. @SanderEvers Having the functionality of a handheld console does not make it one... Nintendo have repeatedly referred to it as a home console and not once referred to it as a handheld. @booker_steve As I said, they are bringing a Pokemon game to the Switch... but they clearly don't intend for that to be a main series title. And they have also made it clear that they are continuing to support the 3DS, so they are certainly not putting all of their eggs in one basket. From what I hear this is free on Android and iOS so its price on Switch will be interesting to see. This actually doesn't seem like a smart approach for a Switch developer. I mean, maybe it could work if the game itself was also something like Pokemon GO (something people actually want to play) but having something that essentially cannot be used in one of two configurations of the system just seems off. Any game will have to be really good to make me want to buy it if its going to use half the consoles potential. I'm glad this is happening. This is a strength of the Switch, it can play any game, be it console, handheld or tablet. I'm hoping more quality mobile apps come to it and its fine if they are handheld only, it will greatly expand the library and versatility of the Switch. I'm sure Nintendo's own mobile apps will be on the as well. I think the support the 3DS is similar to how the original DS was a 'third pillar' or how every manufacturer says the old console will be supported even after release of the new one. Time will tell of course but if Switch does well, 3DS will be let to fade away. We will just have to agree to disagree on this one. @SanderEvers That would neglect it's potential as a hybrid though. I would say it would be nice to have a main series Pokemon, but they seem to say that its probably not going to happen. @SanderEvers Very well could be. I still think we may see a Moon and Sun port this year. Both combined into one game for Switch ala Pokemon Stars. All of both games in 1080p with more content. @booker_steve I doubt that very much. GameFreak just said they think it's important that you can take Pokémon anywhere you go; it's not that they're opposed to Pokémon on a TV. Remember Colosseum and XD on the GameCube? I just waited for this to happen. I like that developers have the option to do this if they choose. It opens up the possibility of more touch screen focused games without having to find some sort of workaround to make it work in both modes. I wouldn't want it to be a regular thing that developers are doing when it's not necessary, but for some games it could be a good option. I'd be fine with all the usual suspects from iOS and Android making their way over. Things like Clash of Clans, Candy Crush, etc. I would never play them, but I think to make the Switch a full-blown tablet proposition those sorts of games would elevate the Switch to something more general consumers would want, which will be very good for Nintendo in the long run. It's good that the touchscreen-only games have not been shown as a fundamental part of the Switch yet. I'm guessing this was a key part of the "clear messaging" Nintendo was talking about. It really would make people look at it more like just another tablet and people already have trouble viewing it as more than the sum of its parts and dismiss it by pointing at one use case. That being said, I think this could be pretty awesome. Though people like to dismiss mobile, the Switch offers an environment that is great for multitouch gaming yet an audience that probably isn't as interested in the free-to-play models and micro short burst gaming that mobile gravitates towards. In essence, multitouch is great for some types of gaming but it hasn't found the right device in the realm of gamers that want deeper experiences. Could be a nice sweet spot for Switch. And many of those developers dream of taking their games to an audience that always has dedicated physical controls as well. Should be an interesting year as a Switch owner! I hate it when a trailer video shows no gameplay, How should i know what game this is? Could be an RPG could be a Life Sim. I know i could look up gameplay on youtube because this game exists already, but it just gets me all confused. After seeing this mentioned as available on iOS/Android I figured I'd see what this game is about. It's a free to play rhythm game where you tap squares when they reach a line near the bottom of the screen. It has a selection of limited time free songs and you have to pay to unlock songs permanently. They also gave me the song from the video for free. It's hardly the most exciting game in the world. With all the discussion going on in here over portable only mode I figured I'd chime in and say I don't see this as a bad thing. If Nintendo didn't want people using the touch screen they wouldn't have included one in the first place. They could have cut the cost by not including touch but they put it in anyway leading me to believe that this is something they fully expected to happen. On the flip side I do see a problem with the thought of docked only games. Docked mode offers nothing that portable mode lacks so a docked only game would only be limiting itself for the sake of limiting itself and nothing more and that's bad. This game is only limiting itself to portable mode because of the one unique control option portable mode has is what this game was built around in the first place. Also, while I'm not a fan of most mobile games I'm not opposed to them being on the Switch and in fact I welcome them because that means more games will be available to Switch owners. Mixed feelings about this - glad there is a possibility of touch gaming, but I feared the machine might be heading for this kind of inconsistent approach. I have a feeling there's going to be a whole load of mobile touch-centric games coming to Switch—be that a good or bad thing—so long as Nintendo actually makes this something that's easy to do for developers. Now, I don't know how good it is for gamers like me but I think it could eventually help sell the system to a load of more casual players down the line, once the price of the hardware drops by quite a bit. Games like Angry Birds, Fruit Ninja, Pocket God, Plants vs Zombies, Cut The Rope, Doodle Jump, Tiny Wings, Words with Friends, Flappy Bird, Candy Crush Saga, Clash of Clans, Puzzle & Dragons, Super Mario Run, etc. could really boost the systems library with a bunch of relatively fun short-burst games on the go. On a side note, I think Nintendo should do the same with a whole bunch of its more touch-centric DS and 3DS games too. But, in saying that, I'm really just getting into my whole thing about Nintendo releasing basically all the games from its past consoles, home and handheld and arcade too, on the Switch's Virtual Console . . .
All the people crying about this game being bad for being in handle held mode only need to chill. It's a port, from a mobile game, that is based around touch controls. Why are people acting like it's the apocalypse or something? This is not a sign of bad things to come, if anything this is great, it means the Switch can get the mobile market and more games is always a good thing when it comes to Nintendo. We need more 3rd party games, everyone has said that. Then we get one and people start crying? ....Can't even use the Joycon thingies to point at the screen? @Xaessya That's not quite what that article was trying to say. They're being tentative about announcing anything and reiterating that Pokémon is first and foremost a portable game. If Nintendo doesn't make another dedicated handheld (and I highly doubt they will, given today's shrinking portable gaming market and the Switch's portability), the 3DS only has a year or two of support from Nintendo left. And then what does GameFreak do? Abandon the main series games? Or put them on Switch? I think the answer is obvious. @rjejr So, here's your touch-only app game. You were right, they're allowing them in early. That surprises me from a marketing angle. Then again it's a Japan oriented game. I wouldn't be surprised if they were greenlit more easily than anything else. @booker_steve I do realize they weren't main series games, but my point was that RPG Pokémon games on home consoles aren't without precedent. And since Nintendo isn't likely to make a dedicated handheld to replace the 3DS, GameFreak only has one option left for the main series, on Switch. And there's no reason to force it into handheld only. The game in the article is doing so because it needs constant touch input, which isn't possible while docked. Masuda already stated his interest in Pokemon and Switch early on. This quote, to mean effectively says that just as B&W was released on DS AFTER 3DS launch, GF intends to release one or more new main series Pokemon games on 3DS to hit the humongous audience it has. Thus they have to pretend for now that "it's a handheld series and thus not meant for Switch." Then when Nintendo sends the 3DS off into the sunset (as they've said many times as "it's entry level for kids"), miraculously the next generation of Pokemon will be coming to Switch just as they've always said! Lets face it, there's no "Nintendo handheld" after 3DS unless Nintendo makes a portable variant of Switch. Which is still a Switch. And while the DS/3DS family was always about lower specs and lower development costs, the stuttering framerate and increased 3D world of even 3DS Pokemon shows us, GF has hit the walls of handheld power and really wants more to work with anyway. Main line Pokemon of course comes to Switch. But not until they're done milking 3DS. Same as Monster Hunter. I did expect this, but not this early and not with some game I'd never heard of, expected it to be something well known, preferably not CC though, too much stigma. Maybe SMR. So, does this mean I get to call it a tablet now, right after saying it wasn't a tablet b/c no Web browser? Nintendo sure does like to keeping us on our toes don't they. 1 game does not a tablet make, but it's a start. Pandora box is opened. So, what do you think, they gray out the icon when it's docked or you can click on it and a box comes up that reads "Please understand, you can not play this game while the Switch is docked"? @Akropolon Lol, I remember having to play lightgun games with a gamepad cursor... now THAT was difficult! @NEStalgia I get where you're going, but from what I can tell Gamefreak has never been afraid of jumping onto newer technology, however it does take a long time for them to develop their games, Sun & Moon were likely in development well before the Switch details were close to ready (same with B/W & 3DS). The one thing that does make me hopeful for a mainline Switch Pokémon game is Gamefreak's choice to nobble the d-pad in Sun & Moon... making the d-pad into button presses JUST before a console is released with buttons instead of a d-pad? Other than annoying fans, it's the next best (il)logical conclusion. Of course this is all just conjecture, the next main series Pokémon (other than a third version of SuMo) is likely a couple of years off. At that point the 3DS likely will be losing online support soon... at that point Gamefreak simply can not release onto the 3DS as online is a massive part of Pokémon now. Interesting, I didn't expect Nintendo to allow games to do this. Considering how they don't want to use hard drives as it'd mess with the core idea of the console. I'm really looking forward to this game! It's one of the most polished rhythm games I've ever played, and the song list really appeals to me. For the idiots who think the game should support TV mode, try the mobile version. You'll quickly understand why it's impossible. I was fully expecting mobile games to be ported over and only use the touch screen. Now the question remains of whether you will need the joycons attached for the games requiring motion control. Not interested in the game, but supporting the approch, the Switch has many different potentials and it would be a shame to see some of them ignored cause "not the expected use of the console". I'm fine with games only possible in portable mode, since that's probably entirely how I'll play the Switch anyway. I'm hoping nothing I care about does the inverse. That is cool but this also has me worried... the Wii U saw some of the most awful (meme run, etc.) games out of all three major systems and I fear that this option will only encourage even worse developers to put garbage on the system to make a quick buck. I don't want to scroll through this eshop and see another sea of trash that I have to sort through.. I hope Nintendo will be much more strict regarding quality that they allow on their system. @booker_steve I doubt Pokémon would do this; the touch screen isn't a needed requirement for Pokémon. Maybe for some mini games where you touch the Pokémon, but perhaps they can implement those using the motion controllers or analog stick. What?! What the hell is this nonsense?! Oh no... I hope this doesn't become some regular trend. What's the point of the Switch? The selling point is being able to go from handheld to TV if you choose to. Requiring only one or the other is a buzz kill for me. Oh man. I don't understand. Now you udnerstand why it's for portable play only. @rjejr Haha! It's rare I can get in a comment before you! I always miss when new articles come up. Just lucky timing on this one! Yeah, it will be interesting how it does. On one hand this is "sort of F2P" but it's really not, it's just sold piecemeal with new content (DLC?) being offered over time, which although Thomas seems to think that's F2P, that's not what F2P is at all. Versus what we know of your typical mobile game that's genuine F2P with infinite fees like Pokemon Go and P&D it's a fairly "traditional" payment model. If P&D goes on Switch that's the uglier Pandora's box (and P&D is much more likely that CC or anything Western. Especially since Gung Ho is right on the Nintendo infographic of 3rd parties. But Gung Ho also does full retail packages for Nintendo so it might not mean P&D in the mobile sense.) That would be a good case for using touch screen mode again, though. It's not "bad" that you can use the mode, but it makes me a little uncomfortable since the whole point is "docked and undocked same thing" adding the "*Except for these games here where they don't run docked at all" kind of hurts the messaging badly. @yuwarite Whoa, geeze. I'm not a fan of most touch screen games, and when the video starts out I feel like I'm getting dumber just watching the simplicity.....and then it opens up into....THAT....that has got to be the most complicated touch game I've ever seen....it requires the reflexes and coordination of a concert pianist. Usually "touch screen game" means simplified controls so you don't have to comprehend the difficulty of buttons. This thing can't use buttons because there's simply not enough of them on any device but a keyboard. @Kalmaro Third-party games is one thing, but this can, as many have said, potentially open the floodgates for shovelware. Is that what you want? @UmniKnight It depends on if Nintendo is still applying the "seal of quality" principles. They certainly didn't in the Wii era. And some of the eShop trash on WiiU has been questionable, but Nintendo was eager to get anything on the console. I'm HOPING they have filters to prevent mobile trash from coming over. @BiasedSonyFan No, but it would make searching for games a lot harder, if you're to go through lists filled with said shovelware. @NEStalgia I was thinking of the Wii era, as part of that comment. I didn't mean this game in particular, though, rather some of the other stuff you find on mobile. @UmniKnight We had shovelware before this game came to switch, we'll have shovelware after it. Nothing will change. 😱 omg, I'll buy it Day 1!! Nuff said. I'm assuming the Switch eshop will have a search function. Problem solved. The more games Nintendo can get, the better. A lot of mobile games would-be very welcome on Switch and are now possible now we know they don't need to run on the TV. @electrolite77 To each his own. I'd like to see Nintendo continue their home-console argument with this being a thing though. @Browny We taking the ones on Sony or Project Mari from the 3DS. @UmniKnight Yeah, and I'm not sure which is worse. The Wii shovelware from companies with at least enough funding to get a publishing run done, or the potential for the phone apps to be ported. Then again, the most popular system gets the most shovelware....I suppose phones win that, but don't forget the PS2...there was some dreary shovelware there. I don't want to see the eShop become a shovelware infestation, but one possible way to help prevent that depends on how the eShop is organized. Pushing touch games to a special category not presented on any of the big pages. WiiU started putting indies and AAAs as equals, but since touch-only games can't work on all the system's modes, it would be only fair enough to put them in their own "drawer" in the shop, and that would cut down on the infestation. @NEStalgia I cannot agree more. @Boxmonkey Yeah, I don't think it's going to become a trend. Could be an experiment right now to see if there is a market for touch-specific mobile ports. I kind of hope that it is successful, because it would open up a viable option for enticing gamers that are tethered to their smart devices. I don't want it to become a dominant practice though, and I agree that it is important that that doesn't happen. I wonder if DS VC could happen and work like playing a DS game on Wii U with both screens on the bottom. Wii U didn't get a whole lot of DS games and there are some I missed out on that I'd like to get like Apollo Justice. Isn't this a port of a mobile game?? If true, then yes, being touch-only makes sense. I don't think there will be many touch-only games like this. This will be a rare exception, not a rule. No problem for me. Perfectly fine solution for touch screen based games. 1-2-Switch can't be played in handheld mode (as far as I'm aware), so there's already precedent for such things. The Switch gave the message that it was all about playing games however you wanted, and this limitation is just going to confuse things. I don't want to see games being limited to either portable or docked mode. Sincerely hope this model doesn't become a regular thing. It's one thing to be designed for portable use (though the point of the switch was it didn't have to be), but if you weren't inclined for off-TV play it's just forcing a set up. Considering there weren't many that went there on dedicated portables I'm not too worried. There aren't IR pointers in Joy-Cons, then. @Boxmonkey I don't see this happening on most games.. but why have a multitouch screen and not use it? I don't mind this if its eshop games. And that's exactly why the Switch should've worked with a simple HDMI-cable. It's a real shame that Nintendo is ignoring the potential of the touchscreen in stationary mode. I know someone on Nintendo Everything who will flip his lid at this news, and not in a good way. Saw this coming, but I didn't think we'd see anything portable-only until TGS. Nintendo won't do anything like this for a while surely, but that they'll allow it, well, to anyome asking how Super Mario Maker would work, here you go. @ATZW1980 I completely love Mobile legends on Switch, though it could be easily made for Controller. I however don't want that to become a trend either unless the games maintain a cheap price tag of more the 19.99 for extremely in depth games. The hope for a new Elite Beat Agents just got higher. Like, 1% higher but still! I'm really not understanding the negatively. A game is a game. If it's bad just ignore it and let your wallet speak. The only reason this game is even like this is because it's a mobile port, that's it. @NoxAeturnus They are not going to have 'docking only' as far as controls are concerned at least because that would provide no benefit, the only reason portable mode changes the controls is because it adds an additional 'touch' ability but there are no 'ontrol benefits going the other way. I wouldn't be surprised if a manufacturer introduces a 'touchpad control' similar to say the PS4 to allow you to use touch games docked (not that we neccessarily need it, but it might happen). @NEStalgia Forgot about Gung Ho, though they do have a P&D sequel out now or coming soon in Japan, so not sure they're ready for Switch quite yet. Then again, DQ11 is supposed to be on PS4, Switch and 3DS so who knows. I think a browser is coming, and Netflix, email is the tricky one. But if the browser is good enough that could support some of the Web mail programs. Not the ideal solution, but I check mine that way from time to time. But if it gets a Web browser and a dozen touch games that cant do TV out b/c of touch controls "tablet" becomes the 4th mode alongside home, handheld, and tabletop. Preferably not until after E3, that's not the place for a browser. Maybe mid-August for back-to-school use. They can do the whole - "We listened to our fans and they wanted a browser" - spiel. If only Nintendo had a controller with a touch screen... Maybe a new innovation for the next generation? I've really never at all understood the whole shovelware complaint. Bunch of cheap games out, so what? So long as you're not wasting money on them yourself what's it hurt to have the option? @Lizuka That's what I'm saying. Where is all this hatred coming from? I mean, we have people on Pc who have to shift through mountains of games all the time to find something they like and it hasn't stopped them yet. All Nintendo has to do is maybe make a "Hot Games" section or something showing which games are selling the best in the E-Shop. Maybe categorize the other games into categories, let people rate them, and then that's it. Oh wait, Nintendo is already doing that now I believe, so I'm not understanding the frustrations people are having with this. >A single indie game that is impossible to play on the TV is handheld only. >Nintendo Life goes Nintendoomed as usual. I want to actually be able to play Super Mario Maker on the Switch, thank you very much. I think the message is clear. I mean the name itself is "SWITCH". I don't think a person in the world looking to buy one won't understand that. But it's better to have touchscreen games available on the handheld than not have them at all. Besides, these are not the games people are gonna be seeing marketed. These are the kinds of games you discover after you've already bought the system. @Mega_Yarn_Poochy I actually didn't even think of that. That's a good point though, some games Need to have touch controls, which means TV mode just isn't going to cut it. I know some folks are saying "Can't you just use the joy-cons?". Let me just say right now that the responsiveness of a screen is not going t one that easy to replicate with controllers, even if they are shaped like a pointer. It would be like trying to control a cursor on a computer touch screen with a laser point. Sure it can be done but using a laser pointer but using your fingers is just so much easier and precise. @UmniKnight You know of him? Yes. @FTL The system is overclocked in dock mode. I can foresee a future where more resource intense games are designed to require the system to be docked in order to play. This would be similar to the games that currently only play on New 3DS for example. Or worse, games that have such poor quality in handheld mode as to be unplayable. Again, I'm fine with games that are only available in handheld mode, but I'm wary of this becoming a trend, and I would be actively upset at games that require docked mode to function. The purpose of the system is to be a hybrid. Can't be a hybrid if developers start choosing one mode over another. @MegaVel91 Velen(NotWoW) I presume? Let's just say, we are in acquaintance. A similar sort of article is on Nintendo Everything, and he (Vigilante) has not yet posted on it. @NoxAeturnus Yea I absolutely agree that they could end up doing that in relation to power (which is why I mentioned 'control wise' when I said they wouldn't). But to be honest the extra power when docked shouldn't change whether the actual games will be playable - it may mean that a game would need to be down graded graphically for portable however (for example they will usually be lower res -720p native on the portable anyway compared to higher on TV output). Probably in the same way that a game needs to be designed to be playable on the PS4 even if it's made with the PS4 Pro in mind. @FTL Totally agree. That's what I assumed would be happening too and there's no reason it shouldn't work that way. If it stops working that way, I will be disappointed. I think we're on the same page here. I keep playing xonic on my vita tv then. If the game is fun and feels right, that's all I care about. Look build it and they will come. The Switch can accomodate many play styles and I hope we see it all be taken advantage of, unlike the WiiU. Why are so many people dogging this? I would like the ability to play 'good' tablet games on Switch. I love card rpg, and there have been some good interactive novel games on Vita I would love to see as well. N has actually said a game can be defined as 'docked' only. This is also a good things as it may attract some 3rd party that just won't run at 40% gpu speed. One concept I have seen few talk about would be games that support dual play modes or styles for home and away. Some would say NOOO.....but as someone who has always gamed alot on both home/away platforms this appeals to me. I point to Mario golf and pokemon on N64-GBC. It was pretty slick using the N64 transfer pack. I would love to see something like this as I don't fully believe all home play styles fit on the go and even more believe most on the go styles don't translate well to couch play. But a game that has both then gives me what those old N64/GBC examples did which is each format pushes you to want to get back to the other to advance your characters. As I opened with Switch can offer it all so be happy. If there are some touch only, some docked only snd most support both then good us for owning such a swiss knife system. I want it all! Let me translate most of the comments for everyone "How dare you Nintendo allowing more options for 3rd party support we don't want 3rd party at all!" For those wondering on whether docked/undocked will be a thing of the future, I've gotten an e-mail from Nintendo of Europe, in which they basically say it's up to the developer. They can make it docked only, undocked only, it's their choice. @UmniKnight I see... and yes I am Velen(NotWoW)... and who might you be on Disqus? @MegaVel91 Wouldn't be fun if I'd give it away that easily would it? Just head over and give your impression on that article, you'll find out in due time. Rather than feel limiting this just opens up a world of experiences to take on the go. Don't forget this system has its origins from the DS line! I wonder if this will be free like the iPhone version with Micro-transactions? @rjejr I think Netflix might eventually come, probably evaluating the market, competing contracts, fees, etc. etc. Since video has been a common theme on Nintendo consoles for a while it makes sense, especially on a portable console. The web browser, though, I'd say 50/50. it's possible. They even said it's possible. But that's such a pain for them to maintain, that if they don't really want to target it as a general purpose computing device it's a lot of wasted cash and resources. It could be justifiable, but I imagine they'd very much rather not have to. The thing with email, text entry, etc....it's a 6" screen. yeah, so was the WiiU, but that at least had a stylus for typing. Finger-typing on a screen that tiny isn't fun. Plenty of people do it on smaller phone screens but "[email protected] y we hav 2 so mny ppl tlk liek this". Typing anything longer requires a nice large screen to fit fingers on, or something like Swype on Android, or Bluetooth keyboards. Nintendo's not even giving us BT audio for a gaming device, you think they have BT bandwidth to spare on keyboards? I just can't imagine them opening up to general peripherals on this and competing in a whole different (VERY) red ocean. Taking on MS and Sony is one thing. Taking on Samsung, Apple, LG, Dell, HP, Lenovo, etc, etc is a whole different thing. I can see the argument why it might be a good plan, but it's just not in Nintendo's corporate DNA to run straight to the consumer commodity market and compete head on. And trying to make a "real tablet" of out Switch does just that. It's not a home console, it's just another tablet like all those 10" tablets, but not 10". I'm not saying it won't have a browser, but I think they'd like to avoid it if they can, but equal chances they decide there's too much interest in it to ignore. Their messaging so far has been all around stepping away from the "all around utility device" that Wii and DS lines represented with their apps, and toward "it's a dedicated gaming device." There's just too many companies that do portable "all around utilitiy devices" much much better, cheaper or at much more premium prices to warrant spending too much time and money on trying to sort of almost partly compete with them. Those products didn't exist in the DS/Wii era. Better to be the best "home console you can take with you" on the market, than a mediocre tablet. @NEStalgia "Better to be the best "home console you can take with you" on the market, than a mediocre tablet." Did you copy and paste that sentence from a previous comment where you told me they wouldn't put touch only games on the Switch? Not all tablets are 10", Apple has the 8" Mini and there are plenty of 7" tablets not much bigger than the Switch, so 6.2" would be fine for email. I really don't think it will ever get an email program, but like I said before as long as it gets a browser that supports it that's fine. @rjejr Tagging your for above, since I forgot, and then discovered recently that adding a tag via edit does NOT actually tag the person..... A few people tagged me in edits and I got no emails....grr. @Boxmonkey I disagree. I think giving the developer the choice is best. If they had to make it work for both modes, it would be very difficult for certain games to be ported to the switch. Just make it very clear on the e-shop page/retail box that it only supports a specific mode. For the same reason, I think it's stupid Nintendo didn't allow for the gamepad/TV to be used simultaneously. Would have allowed for all Wii U games and DS/3DS games to be ported over, plus allow developers much more creativity. Of course, they are trying to distance themselves from the Wii U, which I understand from a marketing standpoint, but I still which it was an option for devs to take advantage of. @NEStalgia Yeah, it took me a few months to figure out about the edit in tag thing not working, I was posting a lot more often w/ a lot more people back then. And just reading every last comment on here whether I was tagged or not. I could see that happening again after E3, or not. Christmas has potential to get me excited - Mario we know, I'm not sold on that XC2 2017 date, maybe for Japan, still waiting on Pikmin 4 going on 2 years now, I'd really like to play Kid Icarus: Uprising on my big screen TV. We'll see. Oh yeah, your post, almost forgot to read it. Not a fan of stylus, I've always typed fine on my 7" tablets, probably better than my 1 finger hunt and peck keyboard typing. And autocorrect works better too. But again, I'm ok w/ no dedicated email program or other "productivity' apps, but Youtube, Twitter, Instagram, FB, whatever else I'm behind on that other people use, no dating apps. And there's no camera so no Skype. Twitch, Crunchyroll, Netflix et al. You really don't even need a touchscreen for streaming, home video consoles manage it just fine. They'll never get HBO go though, too mature. Uprising. Oh that game would be so cool with dual sticks. But will Prima Donna Sakurai-san allow his masterpiece to be violated so? Perhaps that's the next touch-only game. Because reasons. To be fair to stylii if all you've used are Nintendo stylii and those rubber nub capacitive generic stylii you haven't tried the real deal of an active digitizer. The Note with the S-Pen is the only phone (other than that silly add-on for the Google phones with no holster.) Laptops/ultrabook/tabs do better such as Surface Pro (only the pro) and Surface book, and others with either Wacom or other similar digitizer. No dating apps?? Well, there goes Milk Online...... Get with the times Nintendo! @rjejr tagged, ugh, did it again. @NEStalgia "Without productivity apps it's a hard sell as a "tablet""
Is it really though? I've probably spent thousands of hours over the years on my 7" tablets w/o ever doing a single productive thing. Same for my wife who has had 2 7" tablets. My son has spent a lot of hours on my old one. Games, web browsing, social media, streaming. If it has those 4 services and a touchscreen it's a tablet for 98% of people. @rjejr Well a web browser is a sort of productivity tool, so my assumption was no web browser, just the video apps and such. If they do do the web browser, I can see it being a LITTLE more of a tablet. Though that still makes it a content consumption device, which, sadly, is what tablets have become for the mass market I suppose. It makes gaming seem like a productivity tool by contrast. @NEStalgia "It makes gaming seem like a productivity tool by contrast." Steve Jobs is still alive and living on this spaceship. @rjejr LOL. And One More Thing: Elvis' new album will be launching on iTunes exclusively this June? o well i buy switch cos i'm always on work trip. And man Voez not cheap on the switch o_O it was a free game on mobile right ? with in game purchase ?